Everyone should have noticed the current sticky list of good n free software is too messy for anyone to browse through and look for the software that they need, also there are different users posting the same software over again. Hence, I've decided to revamp the thread and make it better. Hopefully, the moderator will put up my thread as sticky and removed the old one. Also, seeing that the TS of the previous thread last activity was 3 years ago, I decided not to send him a message to inform him (he won't login and see anyway). 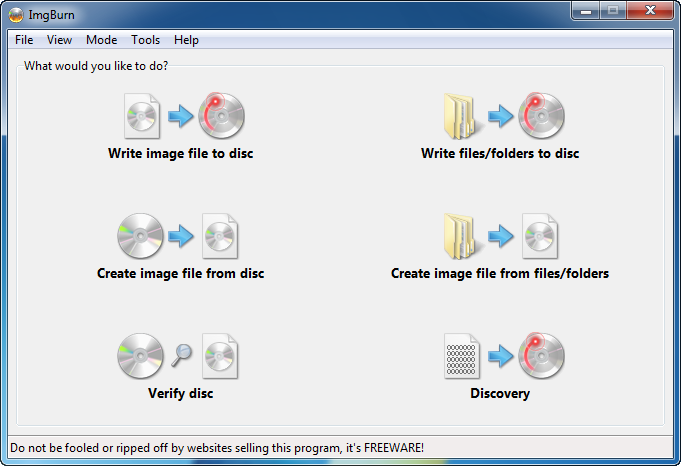 As suggested by wikipedia, Freeware is computer software that is available for use at no cost or for an optional fee (voluntary fee). Therefore, I urge fellow hardwarezoners to follow this few simple rules before posting and recommending others of freeware. The software must be free-of-charge. The software must not contain any form of malware. I would also like to set a format for people to follow when they introduce software to others. This would help people to understand the nature of the software before downloading and use it . Website: Main page of the software website *Note: Do not link it to the downloading page. Image Preview: Try to get a image (product image or screenshot should do) off from the software site and post it over here. Product Description/Features: Copy the selling points of the software over at the website and post it over here to let others have a better idea of what the software does. Product Review: Do provide a short writeup of the product that you're introducing to others if you had it previously or still using the product at the moment. An example will be given below. It is perfectly fine to leave out certain part such as product review or image if you couldn't find any. But please make an effort to do so, it helps! Please only suggest software that are known to be free from spyware or any other form of malware. Product Review: Hey, do support Firefox. I never regret choosing Firefox as my default browser since ages ago. It has lotsa wonderful features and plug ins such as Ad Block Plus which basically remove all the irritating advertisement all over your screen. You also have a password manager which helps you to remember and store your username and password, it saves you lots of hassle when you visit back forum that you hadn't gone for years. It's faster and will not get as much errors as some other browser does! New product to be added to the product category list. Product Review to be added to any of the product. Broken links, Typos or any other errors. 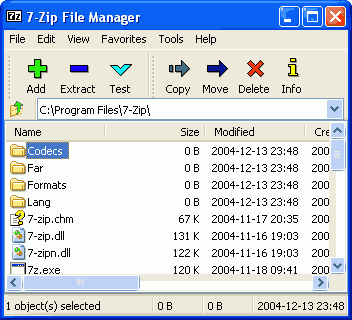 The following three post will have a list of software populated in alphabetic order for easy searching. Please do a search below to see if the software that you would like to introduce had been posted before to prevent duplication. Lastly, I seek your co-operation to make this a better thread by abiding to the rules of the thread. Hope you guys will benefit from this! PS: This post will also serve as a reserved post. Extra Note: AVG Anti-Virus Free Edition is only available for single computer use for home and non commercial use. Eraser is an advanced security tool (for Windows), which allows you to completely remove sensitive data from your hard drive by overwriting it several times with carefully selected patterns. Works with Windows 95, 98, ME, NT, 2000, XP, Vista, Windows 2003 Server and DOS. Extra Note: Foxit Reader itself is free. The critical add-ons are free while advanced add-ons have a reasonable cost. Establishes what video codecs (audio and video) are required to play an AVI file. Determines whether these codecs are installed on your system. Shows framerate, duration, aspect ratio, bitrates, AVI structure info, and more. Displays and allows editing of RIFF info (title, etc); displays "hidden" ASCII info. Place notes on your desktop, reminding you of important events everytime you use the computer. Draw crazy pictures to decorate your desktop, or use your Tablet PC to write notes with a stylus. Scribble notes can be any size and stretched to your liking. Editing notes is easy and non-obstructive. Just double-click the note body, edit it, and hit "Done" when you're finished. Create checklists to keep track of what you've done and what you have left to do. hott notes have a simple, yet pleasant interface. Choose any color, font, or translucency level for your notes. Also, create and use themes. Managing a large number of notes is easy. A Note Manager allows you view your desktop, wastebasket, and archived notes and perform batch operations on them. Supports a wide range of image file formats - including BIN, CUE, DI, DVD, GI, IMG, ISO, MDS, NRG and PDI. Supports all the Windows OS's - Windows 95, 98, Me, NT4, 2000, XP, 2003, Vista and 2008 (including all the 64-bit versions). If you use Wine, it should also run on Linux and other x86-based Unixes.